A faster version of regular walking. An Internationally recognised athletics discipline. An event included in the Olympic Games programme. Regulated by the International Amateur Athletics Federation (IAAF) and judged by their rules to ensure that competitors maintain a good walking technique. Race walking is basically an endurance event (senior races generally range from 3000m to 100 miles/24 hrs) with all the accompanying benefits; ‘the pulse and breathing are raised well above resting levels and kept there for considerable periods’. 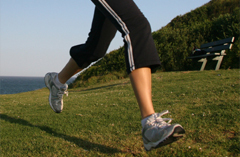 It shares this cardiovascular benefit with running but has the advantage in that, because the rules of walking require the competitor to maintain contact with the ground, there is none of the jarring through the feet, ankles, knees, hips and spine that can be the cause of many running injuries. 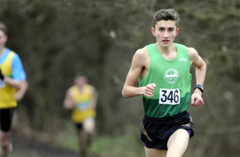 The club have produced a number of talented athletes within in Race Walking with lifetime members Dominic and Daniel King having competed for England and Great Britain on many occasions including European, World, Commonwealth and Olympic Games. Race Walking is an ideal event for anyone who has suffered running injuries or would simply like to try something different. Until recently, Race Walking has been Great Britain’s most successful athletics event in Olympic Games history with many previous Olympic Games medallists. In addition to featuring in mainstream Global Athletics Championships, Race Walking has its own bi-annual European and World Cup Championships featuring over 55 different countries with some races featuring over 150 world class walkers. The senior competitions are usually held over Olympic distances of 20km (Men and Women) and 50km (Men Only) and Junior Distances of 10km. Throughout the year the club competes in a wide range of events across the country. There are opportunities to race in various leagues including the Enfield Race Walking League which has a series of races every month across the year. Contact (should remain in contact with the ground i.e. by the time the rear foot leaves the ground the front foot should be on the ground. Because race walking involves a Heel-Toe movement of the foot, it is best to choose a footwear with a lower than normal heel profile. Generally a road racing flat running shoe works well for race walking due to its low weight and durability.